VOCALOID 5 Editor Share Version Notes! The key and tempo are now displayed in the Media List. It is now possible to save the key and tempo when saving media. It is now possible to save WAV phrases as media. When dragging media files into the arrangement, it is not possible to transpose to a specific key. Improvement of tag narrowing refinement. Added the function to reset tag refinement. It is now possible to add media, by double-clicking. It is now possible to sample media multiple times by single-clicking on it. Added the function to quickly adjust the phrase to double tempo or half tempo. Styles are not removed when changing Voice Banks. Improved rendering processing speeds, added support for multicore / multithreading. Improved Singing Skill processing speed. *this version isn't include Function Patch. This project is only for home use and for fun. If you have money, buy it . If you are to use CEVIO commercial purposes, buy it ! VOCALOID5 Editor Function Patch (V1.1.0 version 8.10 day distribution) is written by Xing Wei. adding the Jobplugin work plug-in to V5, control curve drawing ruler, piano window pitch line direct drawing, custom shortcut keys, etc. 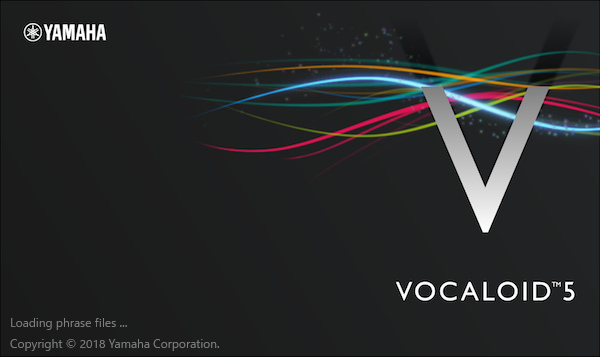 VOCALOID5 Editor Function Patch V1.2.2 was released, and the compatibility upgrade for the 5.0.3 version of VOCALOID was made to solve the Crash problem. If you have money, buy it! 1. You can use the original VOCALOID Libraries (V3/V4/V5) without further operations. 3. YAMAHA official vsti mode can not input the notes of the Chinese sound library, the fault has been fixed in the sv version. VOCALOID Editor is an interface made by YAMAHA to use a number of banks oo gs [v oice d atabase / voicebank / vocaloid library] and its characteristics. VOCALOID4 Editor is the newest version, released in 2015. Editor VOCALOID4 dad FE is the name or pirated version, released by “Vocaloid Free Edition International Project“. At least a voice must be installed to use this editor. It is compatible with all VOCALOID2, VOCALOID3 and VOCALOID4 voices to the date they are FE or AE version (ie, non-legal). Language interface (UI) in English, Japanese, Korean, Spanish, Chinese, Italian, French, Russian, Portuguese (Brazil), Tagalog (Filipino), Vietnamese, Indonesian, Malay and Thai. It includes over 100 Job-plugins VocaloidStore and some made by users. They are in the installation folder. * The VocaListener comes in English by default. Includes Chinese and Japanese version in the same folder (/JobPlugins / VocaListener). ~ Modifications re you lated to the closure of VOCALOID NET. (NOTE)*Now all VOCALOID4 of Internet.Co and AH Software Co. can use XSY between them. Likewise, Hatsune Miku Hatsune Miku V3 and V4x, with Hatsune Miku Hatsune Miku V3 and V4 Inglés Eng lish too. You can see an updated table official here. ** Made by f ans. X VOCALOID 4 is not compatible with Windows XP / Vista. We recommend downloading only the newest. To upgrade to a new version just download and install in the same folder as the newest version. The oldest version will be automatically replaced and no need to reinstall the voices. CEVIO Creative Studio S is the version (pay) which replaced the version CEVIO Creative Studio FREE. ~ Unlike the official trial, no Internet connection required. ~ Same functions as the legal version. ~ You can use legally purchased voices. ~ Satou includes Sasara, Takahashi and Suzuki Tsudumi. ~ Only available in Chinese. (the original interface is only in Japanese). Japanese system configuration. (Location, Format, Language for non-Unicode programs). Requires .NET Framework 4.0. Install it if the program does not open. The text notes can only be entered in Hiragana. > read the included readme “readme_inst.txt”. The second objective of this project is to promote Cevio. Piapro Studio Free Station: Standalone Version of the VSTi version (ie you do not need DAW, is a shortcut on the desktop: D). Vocaloid Piapro Installer Database [VocaloidDatabaseLoader.exe]: Install voices manually locating ddi / ddb automatically or manually file. Vocaloid Piapro Database Enabler [VocaloidDatabaseEnabler.exe] : Enable or disable voices of the database Piapro Studio FE, to have shorter and better performance load. VOICES not uninstall . Cross-Synthesizer Patch (XSY Unlocker) included. It works with all voices of the same language. custom icons (for Yanwu) for all voices released so far. 1.5 jBridge64 included and configured for x64-bit DAW. normal installation. Read the readme if you can, change the installation folder if you wish, and select if you want an icon on the desktop. To access the standalone version use the desktop shortcut. To use version VSTi need a DAW. The second objective of this project is to promote Piapro Studio. If you are to use Piapro Studio commercial purposes, buy it !